It was about 23 years ago in the dusty streets of a ghetto suburb called Dombotombo when I fell in love with flying.As a very young child there was nothing visibly unique about me that set me apart from any of the other kids in the neighborhood, except this burning desire to fly and teach others others to fly.That deep desire often landed me in big trouble with my mum, because I would steal her plastic bags from the kitchen so I could use them to make my kites.My kites were the talk of the the streets.They would fly really high and attract a lot of attention ( attention from cute girls too). So, many years passed.I `grew up` – worked my way up the tough aviation ladder and became a ground instructor early last year.Was it now the time to pat myself on the back – all done?No. Although becoming a ground instructor helped me in so many ways, it was never meant to be the end product of my big dreams.Since then, most of my aviation activity has been ground based.But then, what I want is more than that.I want to fly regularly. 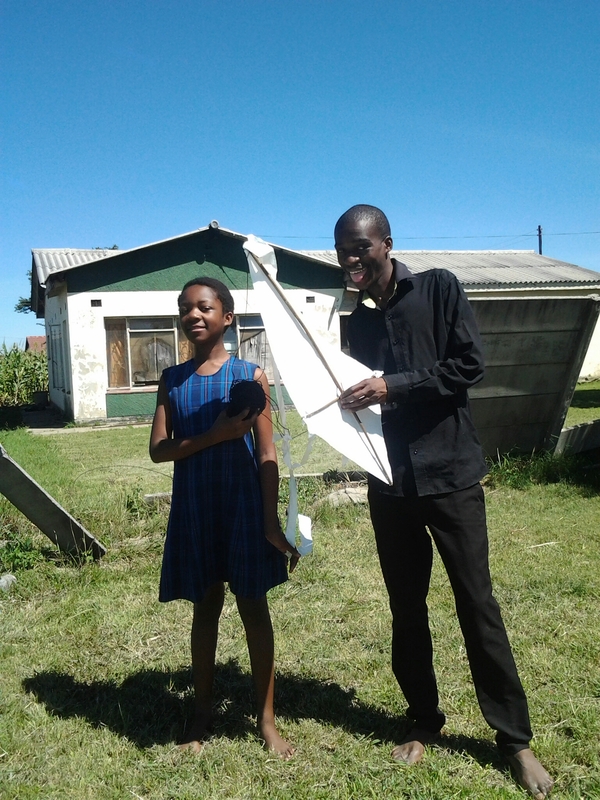 To make matters worse, my family and I moved to a new city called Gweru which made my dream to fly become even more obsolete.Gweru`s airspace is militarized.It has absolutely nothing to do with general aviation.Nothing.Its a dry place that strongly demotivates some of us who like staying close to civilian airplanes. In Gweru we consider ourselves very lucky when, once in every three moths or so we hear the rumble of a small military training aircraft flying somewhere close-by.That is the closest we can ever be to an airplane.Unless you want a coupe of bullets in your skull, you cant even take pictures of the air force jets that fly past. I discovered that unless I revive my passion to fly, in exactly the same way I used to be passionate when I was a kid, I could be paying condolences to my dream pretty soon. Back to the kid in me…. 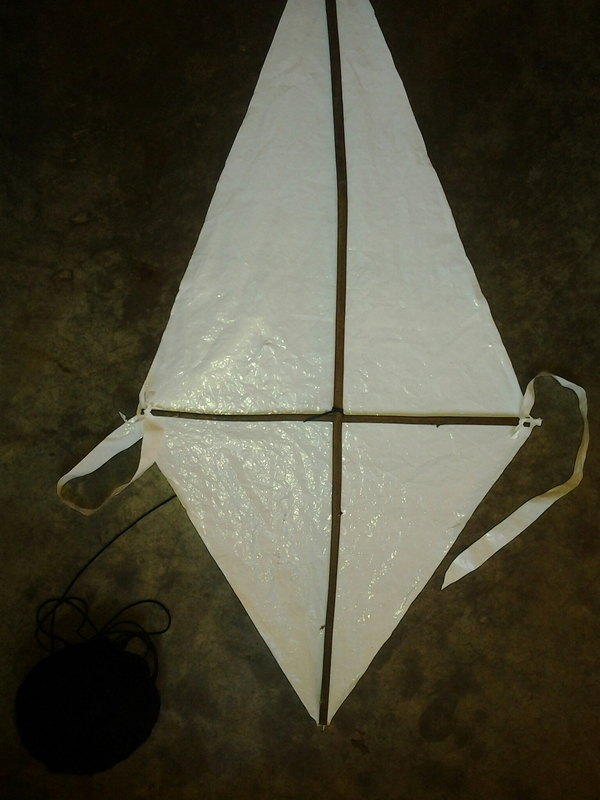 So last weekend i decided to jog my childhood memory a bit and make a kite.Of course, flying a kite would in no way take me up into the skies.But with the few available resources, at least that’s the closest I could come to expressing my passion to fly.It wasn’t such a bad idea after all. Winds were moderate and cloud cover was fair too, blocking the sun from time to time.I found a big white plastic in the backyard. 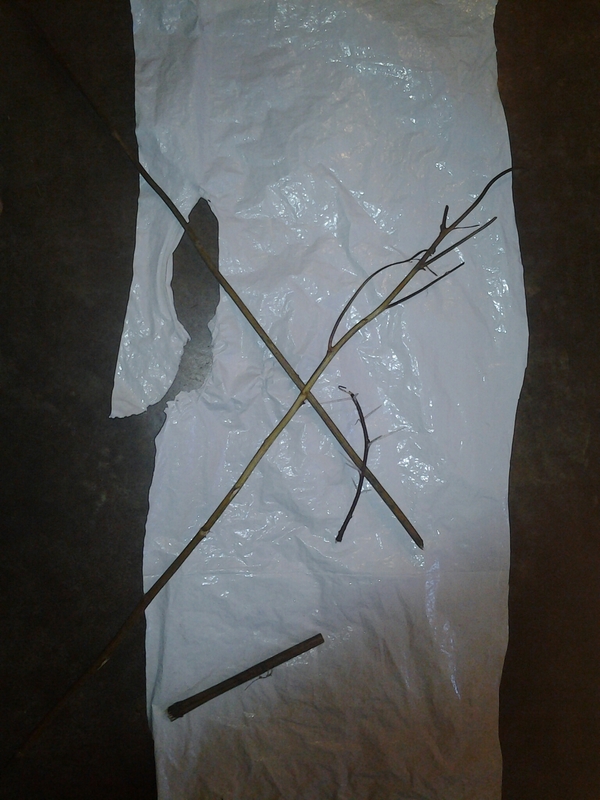 After this I went into the nearby bush to pick a few sticks that I would use as dowels for my kite. 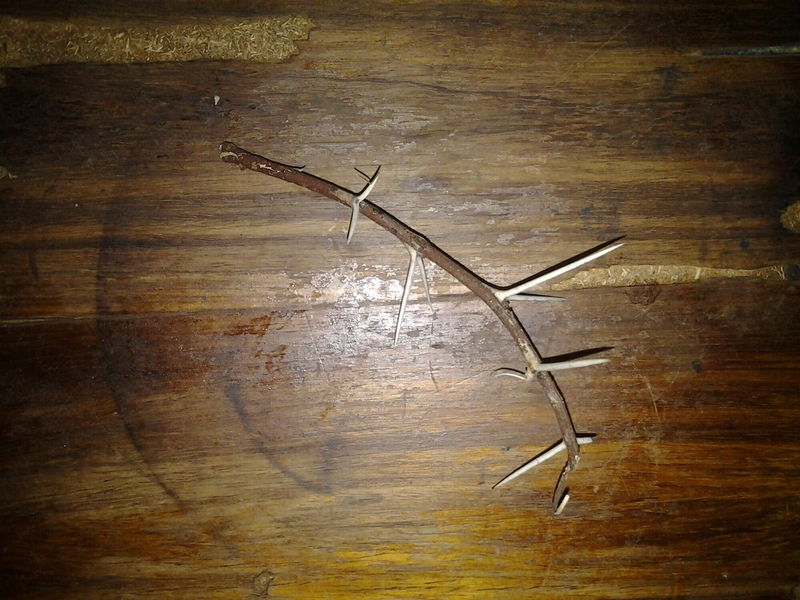 Going further into my resource mobilization exercise for my kite, I picked some thorns too that I would use as my dowel fasteners.I could have decided to use strings or drawing pins that I could easily buy from an accessories shop but I wanted my kite to be as much African as possible, hence the need to use thorns and sticks from the bush. I am inspired by your diligent pursuit of your dream, many of us sell ourselves short along the way. Keep up the spirit and best wishes in your aviation pursuits.